Looks like the IP was configured with the wrong network mask. Did you used /24 (255.255.255.0)? Do what the email says, configure your IP properly. 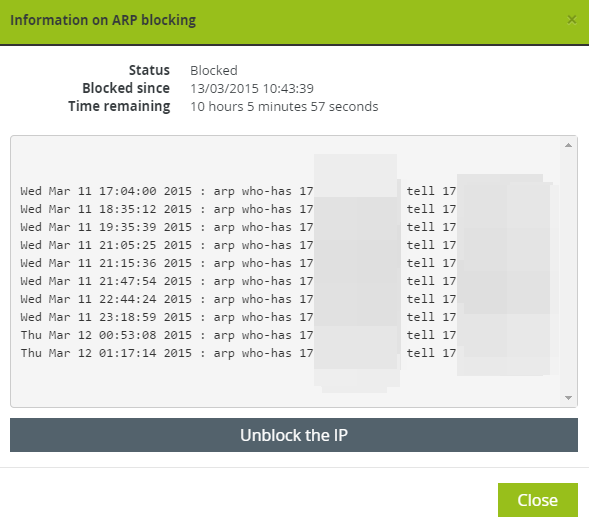 You can unblock the IP within your manager, however the reason why the IP has been blocked is due to an bad configuration. It is advisable for you to correct the configuration for the IP. If in doubt please contact support directly where we can guide you through the configuration. This is due to a misconfiguration. and we still see no change. We ask you kindly to reconfigure the IP failover. "Dedicated Servers"> "ns322350.ip-xxxxxxxxxxxxxxx"> "Server Status"> "Blocked IP Addresses"